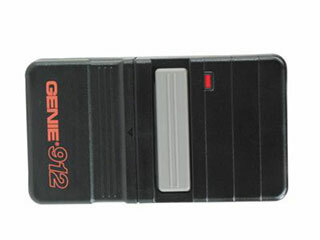 Losing your garage door remote can be very annoying and alarming at the same time. This is because, if your remote has gotten lost, whoever has it in their possession can potentially use it to break into your home. If it's not lost, only malfunctioning, then replacing your remote control is usually the only thing to do, especially if the condition of your remote is already nearing retirement. You have at least two options. One is to purchase the same exact type of remote as your current one, or take things a step farther and get something a little more modern. Getting the exact same remote might seem like a great idea since you already know its pros and cons and how it works, but getting a totally different one will give you the chance to improve your daily routine as far as convenience goes. Of course, availability and price are determinant factors. If you do decide to get a more modern remote, your options are virtually endless. After all, older models pale in compression to the new advances in technology modern remotes have to offer. Let's take rolling code technology as an example. This technology will greatly improve your home's security, as the codes that the remote's transmitter and the opener's receiver use to communicate with each other will change each time you use your door, and, therefore, won't be able to get "hijacked" by would-be burglars. In any case, you must watch out when you choose a new remote. You must make sure it's fully compatible with your opener and that it is programmed correctly. While multicode remotes may need extra attention, they are an excellent solution for those of us who have multiple door openers. These remotes usually have three or four buttons and can be connected to three or four openers accordingly. That means you can have one remote for a few different garage doors and/or gates. As long as you make sure it is programmed correctly, each button will correspond to a different opener, and that will save you the hassle of having to keep several different remotes with you. Contact our experts at Garage Door Repair San Diego to consult with our professional technicians about which type of remote you should get.